Dr. Edward D.C. “Kip” Campbell, deputy director of the Library of Virginia, retired at the end of August after 23 years of service to the Library of Virginia, its staff, and users. 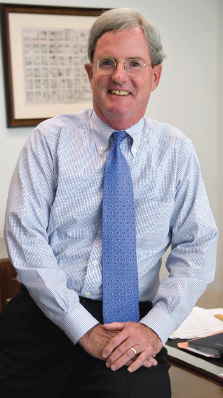 He joined the Library of Virginia in 1985 as editor of Virginia Cavalcade and served as assistant director of the Publications and Educational Services Division, director of the Archival and Informational Services Division and director of the Collection Management Services Division. Judges Choose Finalists for Literary Awards-Let the Reading Begin! The independent panel of judges has worked its way through the 138 nominated books and selected nine outstanding finalists for this year’s literary awards. The judges also selected an honorable mention in the nonfiction category: What This Cruel War Was Over: Soldiers, Slavery, and the Civil War by Chandra Manning. The finalists for the 2008 poetry award are: Blessings and Inclemencies: Poems by Constance Merritt, Outlaw Style: Poems by R.T. Smith, and Littlefoot by Charles Wright. The winners of the fiction, nonfiction, and poetry awards will be announced on Saturday, October 18, 2008, from 7:00 to 11:00 p.m. at the 11th Annual Library of Virginia Awards Celebration Honoring Virginia Authors & Friends. Tickets are available at $85 per ticket. For ticket information, please call 804-692-3900. Carolyn Caywood, Bayside and special services librarian with the Virginia Beach Public Library, and Beth Wiseman, library public information and programming specialist with the Loudoun County Public Library, have been selected as 2008 Lifelong Fellows by Libraries for the Future, a national nonprofit organization that supports innovation and investment in America’s libraries. LFF helps local libraries address the ever-changing needs of their communities. To learn more about the programs and resources of Libraries for the Future, please visit www.lff.org. At the 11th Annual Library of Virginia Awards celebration on October 18, one of Virginia’s titans of the written word will receive recognition for a lifetime of literary achievement. 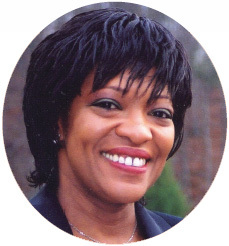 The recipient of the 2008 Library of Virginia Lifetime Achievement Award is Rita Dove—former Poet Laureate of the United States and Consultant in Poetry at the Library of Congress, the youngest person—and the first African-American—to receive this highest official distinction in American letters. She held the position for two years. In 2004 Virginia governor Mark Warner appointed her as Poet Laureate of the Commonwealth of Virginia, a two-year position. A native of Akron, Ohio, Dove won the 1987 Pulitzer Prize in poetry for her book Thomas and Beulah, based on her maternal grandparents. Her many other collections of poetry include American Smooth, Mother Love, On the Bus with Rosa Parks, Grace Notes, and Selected Poems. She has also published a collection of stories, Fifth Sunday; a novel, Through the Ivory Gate; a collection of her Poet Laureate lectures, The Poet's World; and a verse drama, The Darker Face of the Earth. Rita Dove is a Commonwealth Professor of English at the University of Virginia. She holds honorary doctoral degrees from more than 20 American universities. Among her many awards are the 1996 Heinz Award in the Arts and Humanities, the 1997 Barnes & Noble Writers for Writers Award, the 2001 Duke Ellington Lifetime Achievement Award in the Literary Arts, and the 2006 Common Wealth Award of Distinguished Service. Previous recipients of the Library of Virginia’s Lifetime Award were Ellen Glasgow, Edgar Allan Poe, Anne Spencer, Booker T. Washington, Mary Lee Settle, Louis D. Rubin, Jr., George Garrett, Merrill D. Peterson, William Styron, and s Tom Wolfe. The 11th Annual Library of Virginia Awards Celebration Honoring Virginia Authors & Friends will be held on October 18 at the Library of Virginia. The winners of the annual awards for best fiction and poetry work by a Virginia author and best nonfiction work by a Virginia author or on a Virginia subject will be announced at the gala event. The winners of the People’s Choice Award, the Weinstein Poetry Prize, and the Whitney & Scott Cardozo Award for Children’s Literature also will be announced that evening. Winners of the Library of Virginia’s literary awards will receive a $3,500 monetary award and a crystal replica of a book. Tickets are available at $85 per ticket. For ticket information, please call 804-692-3900.